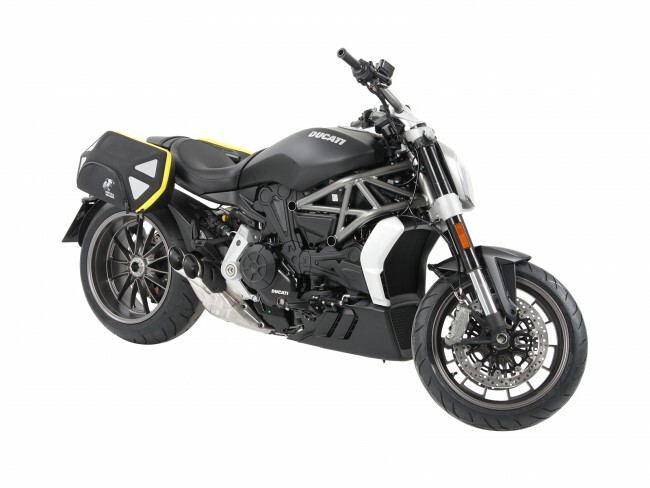 Ducati.ms - The Ultimate Ducati Forum > Vendors > Moto Machines > Diavel Side Luggage! The Diavel is an amazing bike, but if you want to carry anything, you will have to use a backpack which can be uncomfortable. With the Hepco and Becker C-Bow carrier and side bags, you will be able to carry more while you ride without having to strap a backpack to yourself. 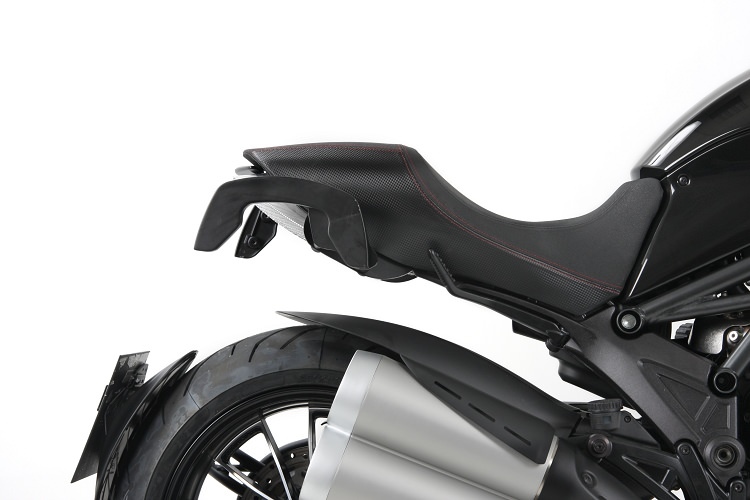 The C-Bow carrier is a sturdy yet unobtrusive mounting system available for both the Diavel and XDiavel. Any Hepco & Becker C-Bow bag will mount to the C-Bow carrier. 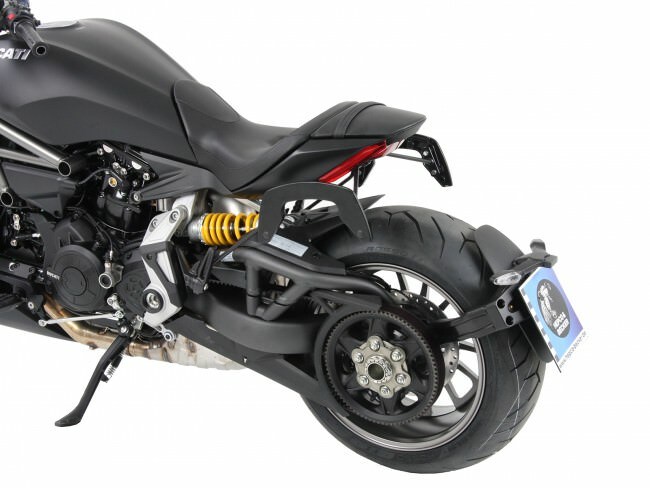 For the XDiavel/S we recommend the Royser bags to ensure clearance from the exhaust. The Royster bags have a slick design that complements the Diavel’s look. They zipper closed for a water-resistant seal. For downpours, there is an inner waterproof liner to keep your items dry. They have a semi-rigid construction with a reflective material on the outer shell to allow for better visibility. They come in black or a yellow trim. Below are pictures and links to the items available and also a link to all other Ducati accessories.